Whoa! 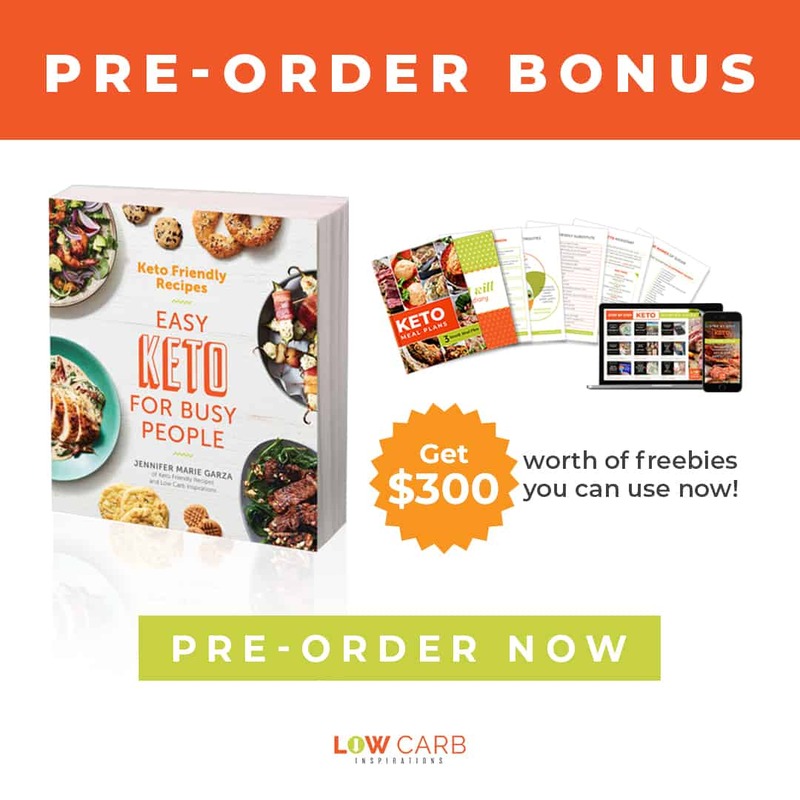 I have been a Keto Popsicle makin’ fool this week! 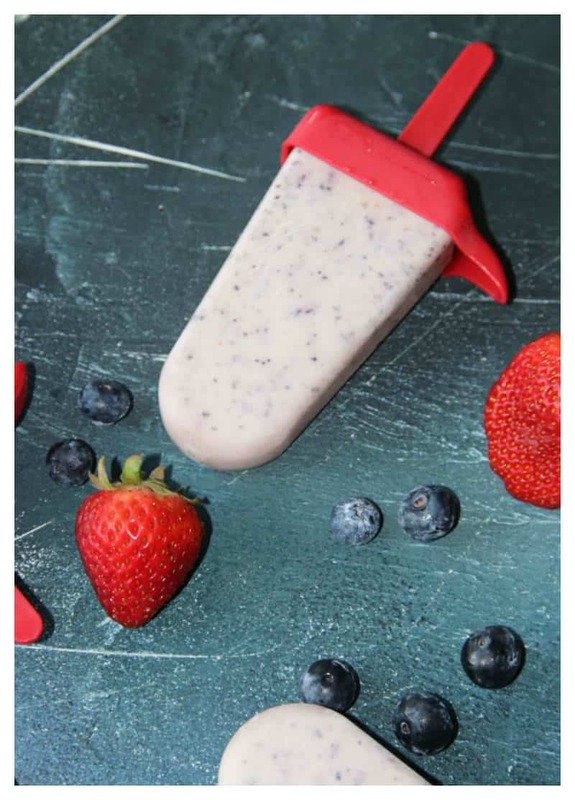 I’ve made Creamy Strawberry Keto Popsicles and a Creamy Keto Fudge Popsicle recipe and now this Blueberry Popsicle recipe! I don’t think our family ever gets bored of having yummy popsicles especially in triple degree temps we’ve had here in Austin, Texas! It’s been so hot!! 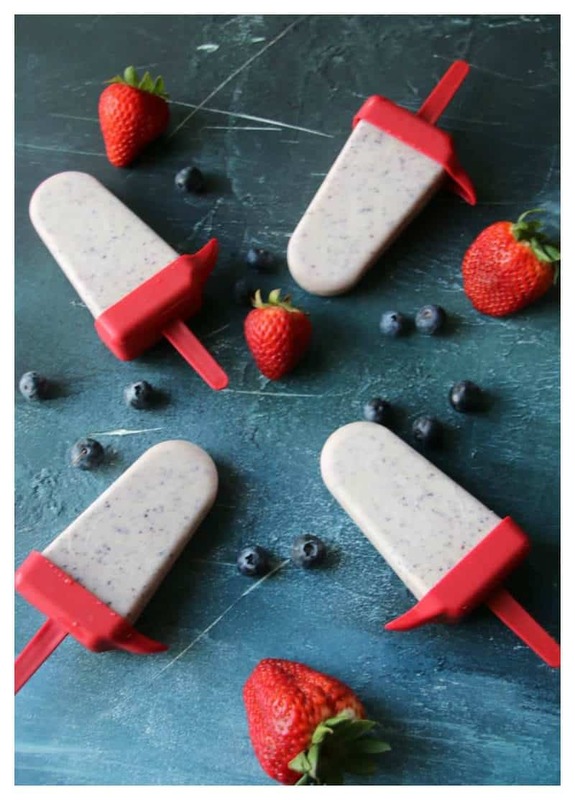 The 4th of July celebration is right around the corner too… I just had a thought about creating some red, white, and blue popsicles for that occasion! 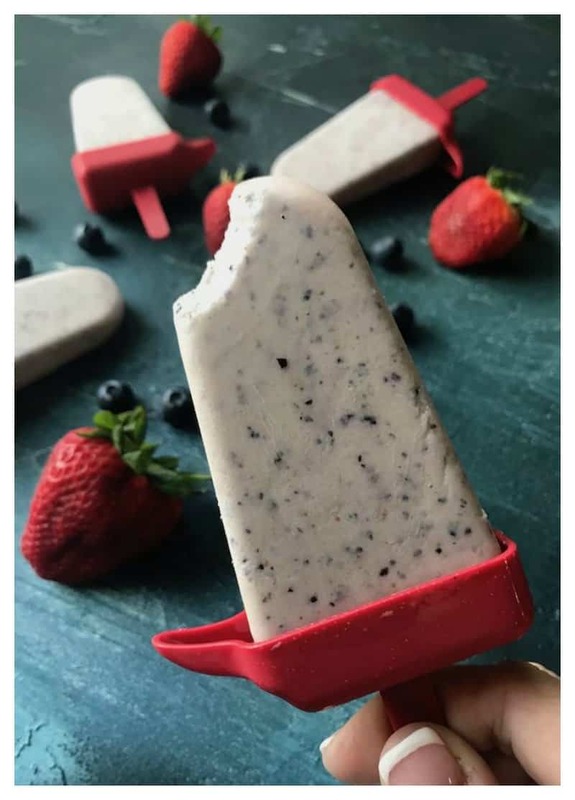 It would be super easy to make a white popsicle recipe using some delicious coconut milk with a little vanilla flavoring. My mouth is watering just thinking about it. You could just leave off the blueberries in this recipe to create some sugar-free coconut popsicles. You could also add some unsweetened coconut flakes to give it some texture too. You would have to make them in three different stages though because you would need to freeze each color separately. This would definitely take longer but perfect for a once a year treat! 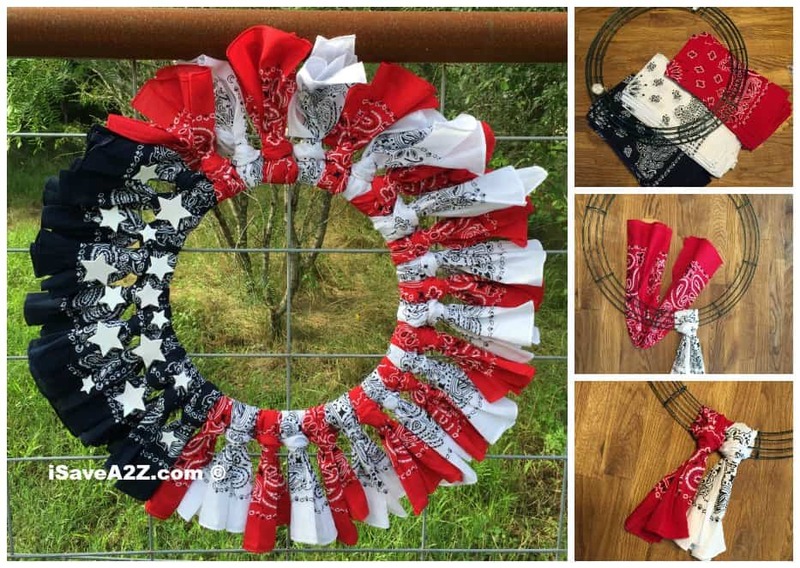 This would go perfectly with my Red, White, and Blue Bandana Flag Wreath I made for this holiday. Isn’t it pretty?!! I absolutely love how it turned out! Note: the combination of the fiber, whey and Xanthan gum gives this recipe an amazing creamy texture! If you don’t have these ingredients, you can still make this recipe but you won’t get the same texture in the end. The taste will still be amazing though! 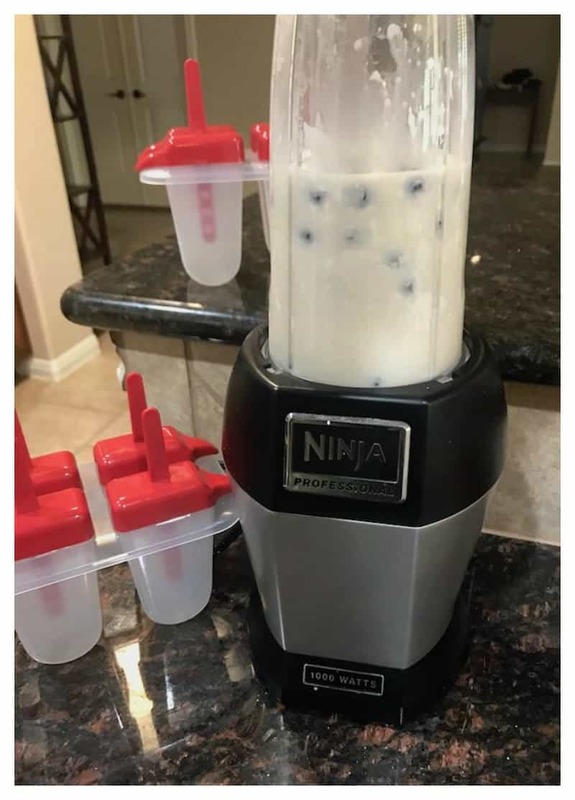 Add all the ingredients in a blender and mix it until all the ingredients combine together. 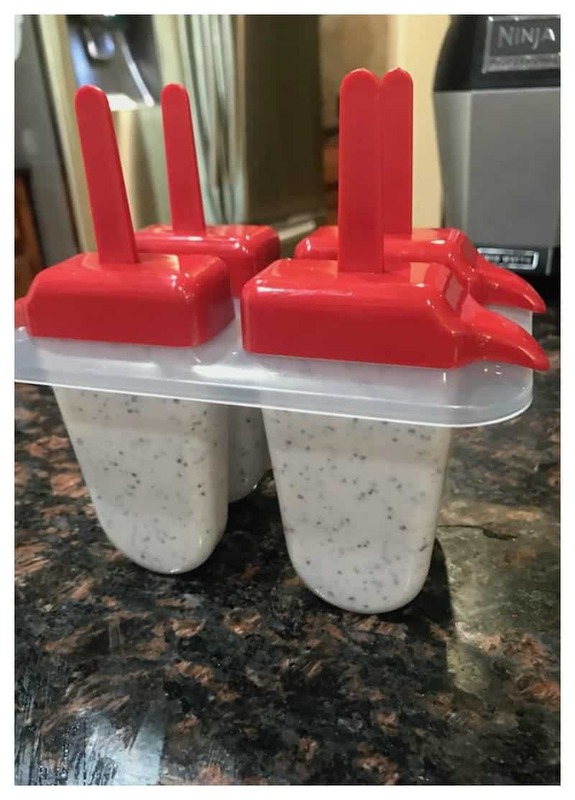 Pour into a popsicle mold tray and freeze overnight. 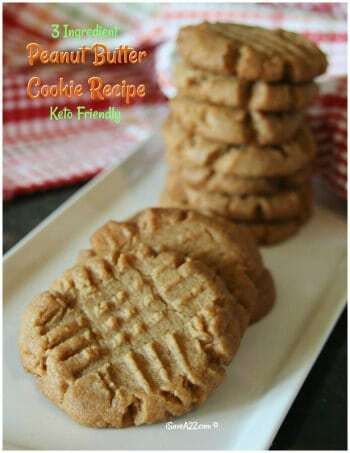 I plan to double or even triple this recipe next time because the kids really enjoyed them. The combination of the fiber, whey and Xanthan gum gives this recipe an amazing creamy texture! If you don’t have these ingredients, you can still make this recipe but you won’t get the same texture in the end. The taste will still be amazing though! 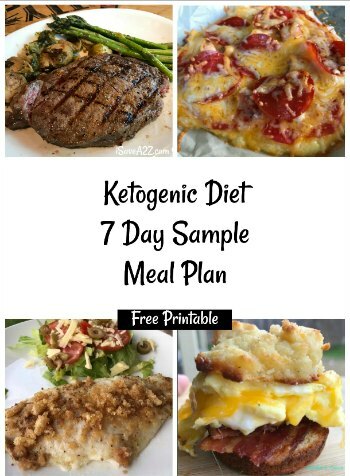 By Jennifer on June 7, 2018 Keto Dessert Recipes, Keto Friendly Recipes, Recipes. I was wondering about the Monk fruit sweetener I assume that you used the big fluffy bag since you use 1/4 cup and not the pure Monk fruit. Unfortunately I made the mistake of grabbing one of those bags without reading the label first. When I got it home I read the label and It is made of Maltodextrin and Monk fruit extract!! Oh I was kicking myself for not reading the label first. 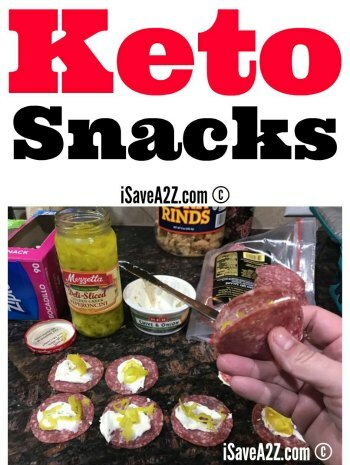 Maltodextrin is not Keto… grr. So I just thought I would give you a heads up here and get rid of that sneaky no good sneak.